It's unrealistic to ask every car owner to learn exactly what each system in their car does, but it is helpful to at least have some knowledge on how your car works. The transmission is something you may rarely think about, but knowing what signs point to a transmission issue can ultimately help you save time and money. Transmission issues are known to need pricey repairs, so it's better if you spot them early on. To learn what to look out for, check out the following tips. First off, what does your car's transmission even do? In general terms, the transmission is in charge of sending the right amount of power from your engine to your wheels. This ensures your car is able to travel at the proper speed. 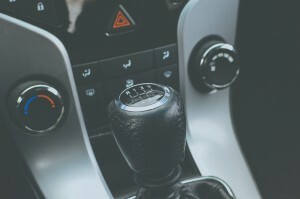 Just like you change gears on a bike, your car also has gears that are shifted either manually or automatically as you speed up or slow down. When there's a problem in the transmission, these gear changes may not work as you expect. Not only is this annoying, but it can also be quite dangerous for you and your passengers. As soon as you suspect there's an issue with your transmission, head over to your mechanic to get your car checked out. Below are some common indicators of an issue that needs to be checked out. Let's say you're driving to work in the morning and as you speed up you try to shift gears. Ideally, this shift should happen seamlessly, but if it doesn't you may have a problem. If your car refuses to change gears or if it even just hesitates to make the change, this points to a problem in the transmission. As soon as you notice that this is happening, make an appointment with your mechanic. The sooner it gets resolved the better. A car that shakes or makes grinding sounds as you drive is not in it's best condition. Grinding, shaking, and jerking can all point to issues in the transmission. If this is also accompanied by other issues like your car hesitating to get into gear, it's time to get your transmission checked. You may even notice that as you try to make further gear changes the grinding sounds and shaking may get even worse. Prevent this from turning into a larger and more costly issue by getting it fixed as soon as possible. If your transmission fluid is old and needs to go, replace it with AMSOIL's Signature Series Fuel-Efficient Synthetic Automatic Transmission Fluid. While you're at it, check out AMSOIL's full range of motor oils for your next synthetic oil changes in Minneapolis. All Service Oil can help you find the perfect products for your vehicle. Give them a call at (763) 257-3130 to learn more or stop by their online store to browse all of their products. Any sort of a leak is a clear indicator of an issue. If you're not sure if your transmission fluid is what's leaking, look for a bright red, clear, sweet-smelling fluid under your car. Old transmission fluid that is ready to be changed may not smell so sweet but rather a bit burnt. Either way, you'll have to get the leak fixed to prevent running low on fluid, which can lead to your transmission breaking down or your engine seizing. If you're driving along and you notice that your car isn't staying in the gear you've put it in, this is definitely something that needs to get checked out. There is no reason for your car to randomly slip out of gear because this can actually be quite dangerous. Even if this has only happened once, it can quickly become a recurring problem that can put you and other motorists in danger. Get your transmission inspected and fixed as soon as possible. Cars make many types of noises, but if you suddenly start hearing new or louder noises coming from the transmission, don't ignore them. If your transmission is still noisy even while in neutral, you likely have a problem that needs to be fixed. Sometimes all you have to do to correct this is flush the transmission fluid and replace it with fresh fluid. If this doesn't work, your transmission may have worn parts that need replacing. While you're checking on your transmission, why not also make time to check on your engine? You may find that it's time for your next synthetic oil change. Before your next oil change, be sure to contact All Service Oil at (763) 257-3130 for the best product recommendations.